Whether syringes, cannulas, infusion sets or infusion solutions - everything you need for infusion and injection procedures can be found in our Infusion/Injection category. We offer you a large selection of high-quality injection accessories from name brand manufacturers, such as B.Braun, Sarstedt and Dispomed Witt. 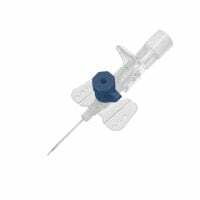 Whether you need standard hypodermic needles, buttoned cannulas, butterfly needles or Braunüle, this category offers a comprehensive assortment of single-use cannulas for a variety of disciplines. Syringes are one of the most important consumables in medicine. 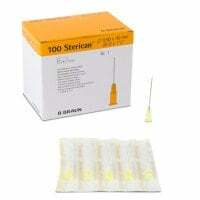 We offer a wide selection of disposable syringes in all normal sizes at attractive prices. We supply everything you need for blood collection: from serum tubes to blood collection needles and sedimentation racks. You will also find accessories for bloodletting here. Discover our large supply of infusion sets, infusion solutions, infusion stands and transfusion accessories. Here, you will find a wide selection of infusion and injection accessories, such as sharps bins for safe disposal of used hypodermic needles and syringes, as well as tourniquets and ampoule openers. The Venofix Safety from B.Braun is a winged infusion set with a safety mechanism that, when used properly, reliably protects the user from needlestick injuries. In this video, you may learn more about the construction and proper usage of the Venofix Safety, winged infusion set. The Vasofix Safety from B.Braun is an IV catheter, which is equipped with a non-resettable safety mechanism that reliably protects the user from needlestick injuries. In this video, you will learn more about the product properties and usage of the Vasofix Safety catheters. Praxisdienst offers you a comprehensive selection of assorted cannulas - equally suited for use in adults and children. 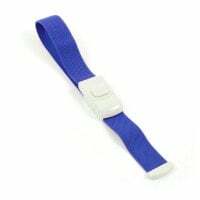 Specially designed for use in paediatrics, you will also find injection products with the proper size and design for babies and children. Protect yourself and your staff with the SnapIT ampoule opener! SnapIT from QlickSmart is a handy, easy-to-use ampoule opener which minimizes the risk of injury from opening ampoules. 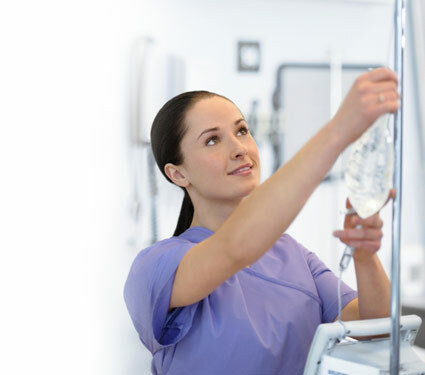 Whether it's infusion or injection - the parenteral application of medication offers many advantages and is, therefore, carried out thousands of times per day. 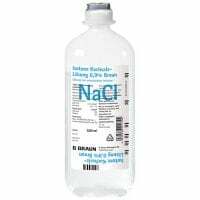 Parenteral administration relieves the intestinal tract and medicine is more quickly integrated into the blood stream; thus allowing it to work faster and more focused. Injections and infusions are strictly carried out with single-use products, so as to avoid cross contamination and prevent infectious transfers. The application of injections can take place in a variety of manners. However, most involve subcutaneous, intramuscular or intravenous methods. Infusion is typically carried out as intravenous, subcutaneous or intraosseous. 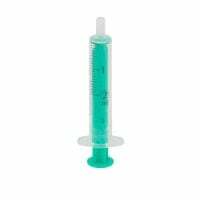 Compatible with many various injection methods and amounts, you will find an assortment of different disposable syringes of varying sizes. 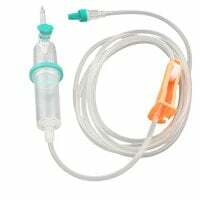 The syringes with Luer-Lock connectors are especially well-suited for infusions and other procedures, where a firm grip between syringe and needle is necessary. Of course, Praxisdienst also offers you a large selection of infusion sets for dosed infusion administration. The infusion set with an infusion regulator even allows for a millilitre precise dosage of the infusion solution. We provide you with high-quality products from well-renowned manufacturers, at affordable prices. With many of our products, you may take advantage of our attractive graduated prices and Praxisdienst coupon promotions. Many consumables, such as cannulas, are offered with a Praxisdienst collection coupon. When you have collected 10 coupons and send these to Praxisdienst, then you will receive a free package of your product. Satisfy your surgery or practice needs for infusion and injection, affordably, with Praxisdienst. You can find the proper disinfectants for prepping puncture points in the Hygiene category.